Designed for those with a limited knowledge of guns. 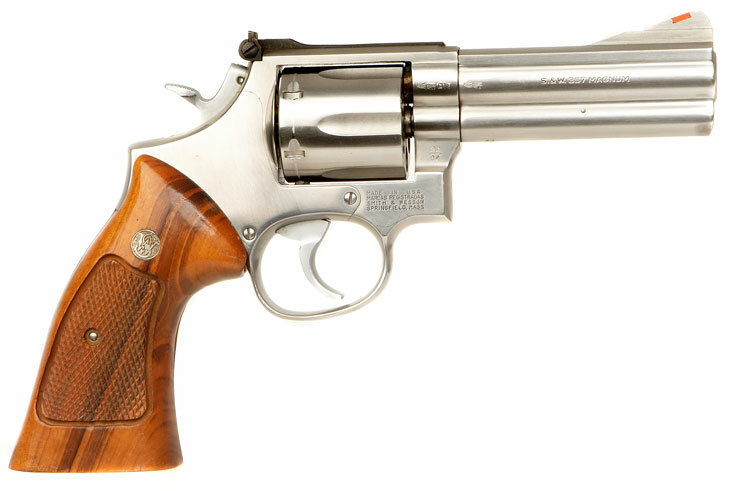 First introduced by Samuel Colt in 1836, the revolver is considered the safest and simplest firearm for the beginner. It is a vast improvement over the muzzle loading weapons of the 19th century where the powder and bullet were loaded one at a time before firing. The revolver allowed the shooter to fire a number of pre-loaded cartridges in rapid succession before having to reload the weapon. 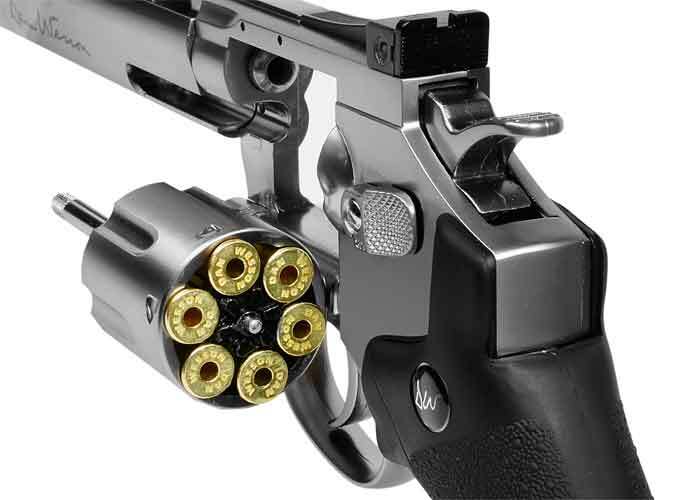 The revolver consists of a frame and barrel containing a revolving cylinder that houses a number of bullets. The cylinder usually flips out sideways from the frame to empty and reload the bullets. The number of bullets vary depending on the firearm. Most revolvers have five or six rounds. Bullets come in different “calibers” which is he size of the bullet. The most common size for a revolver is .38 caliber, which is approximately 9mm in diameter.